All Chinese writing comes in the form of symbols, instead of letter combinations that are used in European languages. The words in Chinese almost look like stylized pieces of art, but you also also find them everywhere. It is simply a beautiful form of writing. This would be why so many non-Asian people get Chinese characters as tattoos. While these symbols are beautiful, they can be difficult to learn how to write them. For instance, the drawing of a Chinese symbol is a very exact art form. If you put a line in the wrong place then you could be writing a word that is entirely different than the one that you meant to write. That being said, Chinese symbol writing is very difficult, and you should always double-check a symbol’s meaning before you get it tattooed on your body. This article will not be about teaching you how to write in Chinese, but instead what some of the most common Chinese symbols are about, and what symbolizes these symbols. It may seem complicated now, but keep reading and you’ll get the hang of it. Many words in languages are spelled or pronounced the same as other words in the same language, and Chinese is no exception to this rule. For example, the word “fish” is very similar to the word for surplus. For this reason, the fish is a great symbol for abundance in China. Fish are also symbols for luck and fertility in China as well. This is probably because of how quickly and how many babies fish can have at a time. Fish are also a wonderful food source in China, adding protein to their diets. Because the fish is so essential in the daily life of the Chinese, it makes a great symbol, and a lovely character to write. Many people have heard the Japanese story of the waving cat that seemed to warn, and in a way, save the man. This story was so popular in Japan that it quickly moved into Chinese culture and storytelling, and their symbolism as well. Since fortune and luck are both important when it comes to Chinese symbolism, it’s great to have something that symbolizes both of these admirable traits – the lucky cat. Many people in China have a ceramic statue of this cat inside or outside of their home with the thought that the cat will bring them good luck. While the original sighting of the lucky cat may have just been a coincidence, it seems that it is now an important symbol for the Chinese. The symbol for happiness can also be found in one thing, a religious and way of life type of symbol, the laughing Buddha. In Chinese and Buddhist culture it is said that the laughing Buddha represents a happy, healthy and content man. The statue for the laughing Buddha is the one that is rather fat, but that also has a large smile on his face as well. The laughing Buddha makes a perfect symbol for happiness and symbol for health, even if it’s not exactly in the writing sort of way. 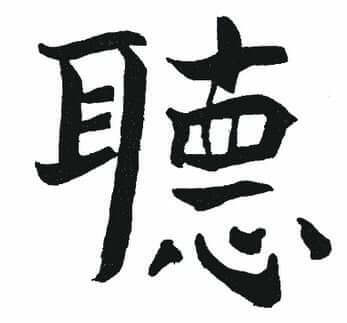 Lastly, prosperity and wealth are also important Chinese characters and symbols. One of the great symbols for prosperity and wealth is a chestnut tree, which is sometimes even known as the money tree, since it is such a powerful symbol for wealth. While the character symbols for “tree” and “wealth” look nothing alike, their symbolism is closely related. While this tree obviously does not actually grow money, it is said to bring luck in wealth if you have one in your home, workplace, or outside of your home. There are many other character symbols in Chinese that can literally mean one thing, and lead to symbolize many other things. If you want to learn more about Chinese symbolism, then you can read more of my articles on the subject on SunSigns.Org.